Sure, you could take lunch at your desk or have a sandwich at home. But why not feed your brain as well as your belly? 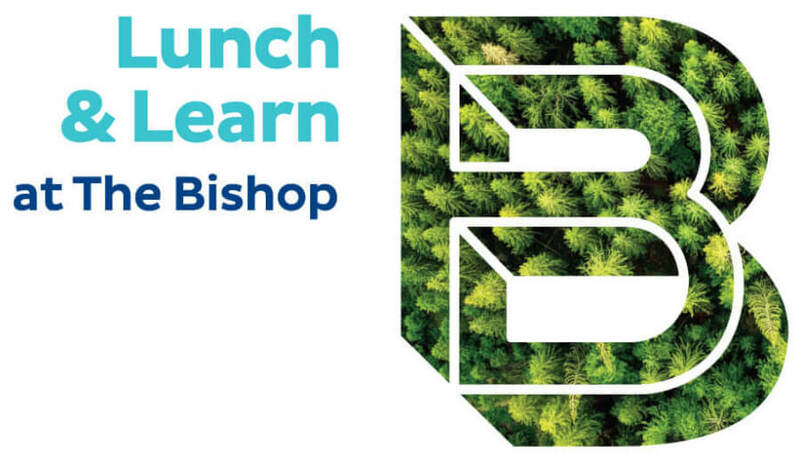 On the 2nd Wednesday of each month from 12:15 – 1 p.m. we’ll feature a talk by our staff focusing on a different aspect of the world or things going on at The Bishop. Bring a bag lunch or stop by a downtown restaurant and get it to go! Tickets can be purchased at the front desk upon arrival or purchase tickets online using the links below. Programs and Online Tickets: Click here! 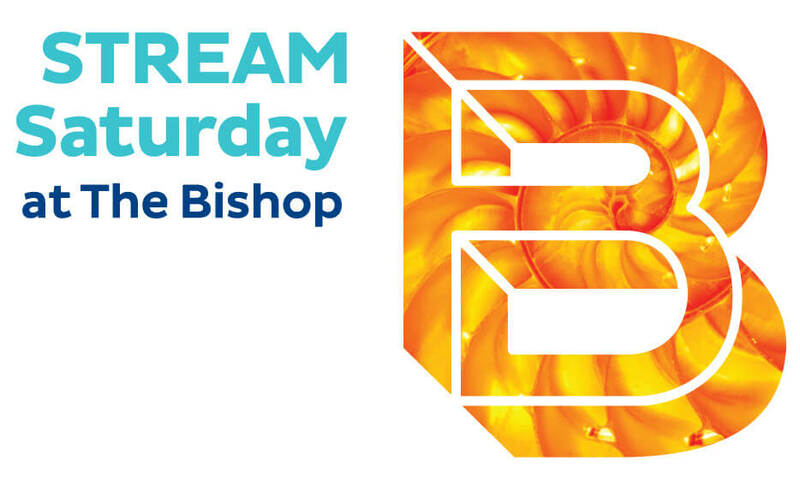 On STREAM Saturdays, you’ll find hands-on, family-friendly experiments and games, crafts and stories or themed scavenger hunts at The Bishop from 10 a.m. – noon. Go at your own pace and visit one or all the activities before enjoying the Museum for the rest of the day! Programs Dates & Themes: Click here! 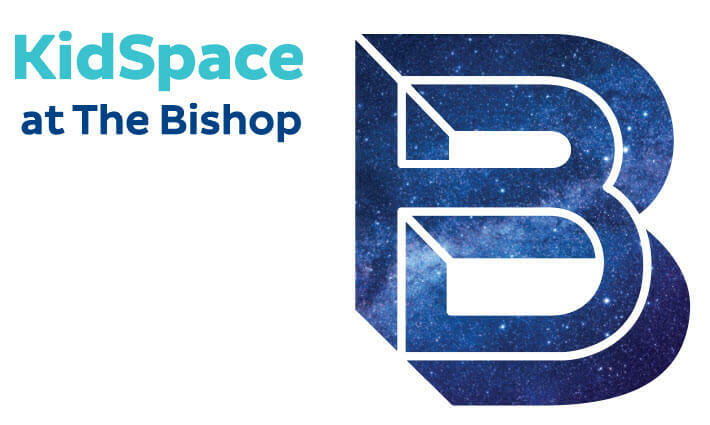 KidSpace is a program for kids who want to explore everything there is to know about space and become Masters of the Universe. 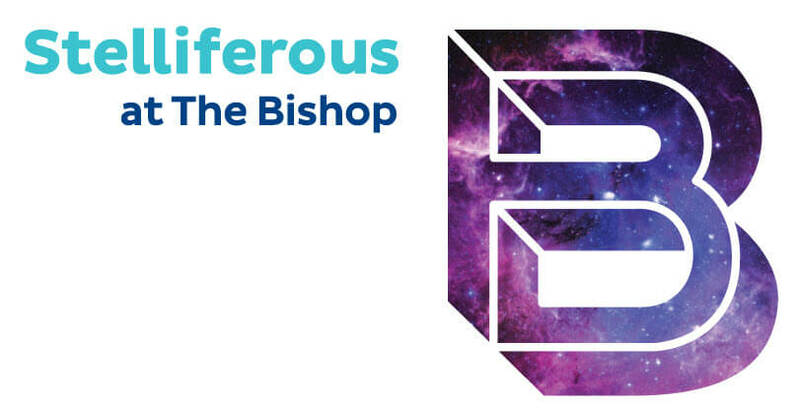 At 10:30 a.m. on the 2nd and 4th Saturday morning of each month, we’ll unleash the awesome power of the Bishop Planetarium, taking off from Earth’s surface and flying to places no human has gone before: the Sun, the planets, other moons of our solar system, newly discovered solar systems in our galaxy and beyond. KidSpace is designed for kids in elementary school (grades 1-5), and their grown-ups. Museum admission is not included with your KidSpace ticket price. Eligible Discovery Society Members receive free daily admission. All others who would like to stay and enjoy the Museum can pay the discounted KidSpace price of $3 in addition to the standard Museum admission fee. 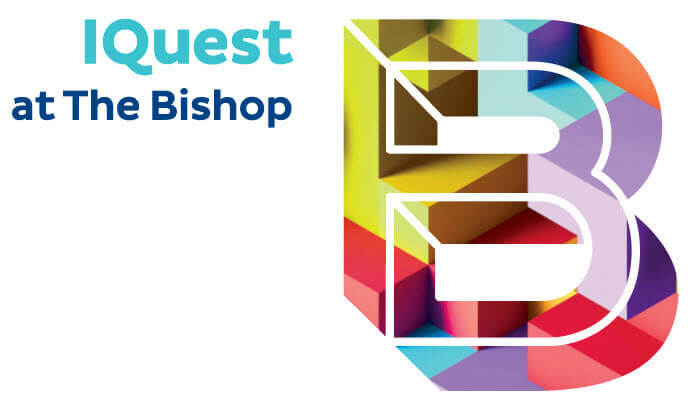 IQuest is a monthly program for middle school students in grades 6-8. While each IQuest is different, you can always expect challenging projects and games that inspire out-of-the-box solutions to real-world problems. IQuest takes place from 4 p.m. – 8 p.m. on the 2nd Saturday of most months. 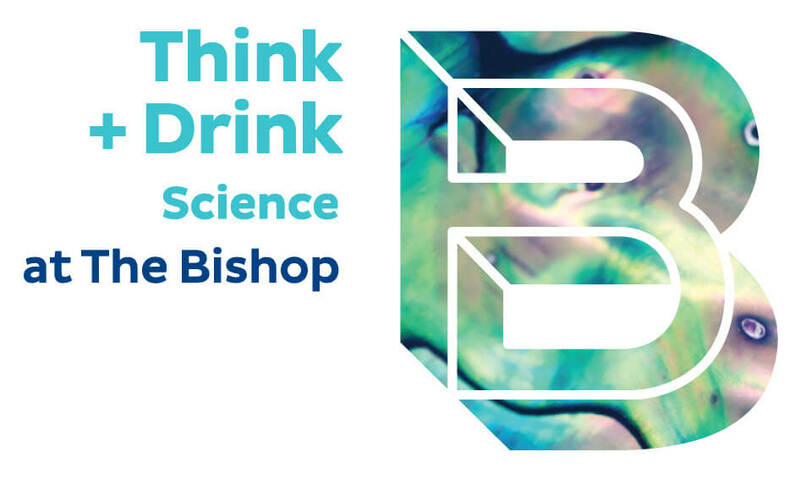 On the second Wednesday of each month from 7 p.m. to 9 p.m., we transform The Planetarium into a forum for discussions at think + drink (science), a place where you can grab a beer, glass of wine or a soft drink and learn about cutting-edge science in a relaxed, informal setting. Typically the evening’s expert gives a short presentation on the topic of the month and then opens the floor for questions and discussion. Join us for our monthly live star talk, Stelliferous Live. Stelliferous Live takes place at 7 p.m. on the 4th Wednesday of the month in The Planetarium. We’ll take a tour of the upcoming month’s stars, planets and constellations, talk about current events in astronomy, and open the floor for an always-fun question and answer session. Stelliferous Live is great for curious adults and inquisitive kids alike. Come prepared with your curiosity and your questions and expect to leave a bit smarter about your universe.